fourish | What's new with ELP? In Teen Challenge we would say that we are “student-focused” – and we should be. However, sometimes a leader can be so student-focused that they look past the staff they are leading and, along with them, place most of their emphasis on the students. While a key leader may retain some aspects of student ministry, their primary ministry is to the people on the team they lead. And when a leader is growing and developing the people they lead, they can be sure the students will be growing and developing as well. So last month we looked at how a leader enriches culture through the practical skill of hiring the right people, this month we’ll look at the practical skill of developing people. 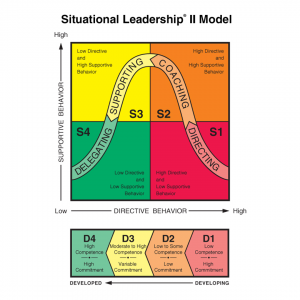 Ken Blanchard, in his book “The Servant Leader”, says that a “key element of being a servant leader is to consider people’s development as an equal end goal as their performance.” Blanchard offers up a simple model for developing people with what he calls “Situational Leadership” and illustrates how Jesus was a Situational Leader. This model recognizes that people are always on a development continuum based on 2 things: commitment and competence. When you started with Teen Challenge your commitment was high as you answered God’s call, but your competence was low because you’re new on the job, you have a lot to learn. Blanchard calls this an “enthusiastic beginner”. As you begin to learn your new role and experience challenges moving up the learning curve – maybe a student you’ve been counseling leaves the program – you may become a “disillusioned learner” as your commitment wavers. You may ask, am I really cut out for this? But as you continue to grow in competence, you reaffirm your commitment and become a “capable but cautious performer”, ultimately becoming a “self-reliant achiever”. (In our context, let’s acknowledge we’re still God-reliant achievers…) The leader’s role with Situational Leadership is to first “diagnose” which development level applies to the person. Secondly they demonstrate “flexibility” in adjusting their leadership style to that development level. For an enthusiastic beginner, it’s ok to be “directive” in your leadership – the person is new, they need to know what to do and how to do it. For a disillusioned learner the leader shifts to a “coaching” style – asking great questions while still providing direction to get the staff member over this hump. As the staff becomes a capable but cautious performer they need a “supportive” leadership style – they can do the job, they just need to be affirmed. Finally, the leader can “delegate” to the self-reliant achiever – empowering them and releasing them to flourish in their role. 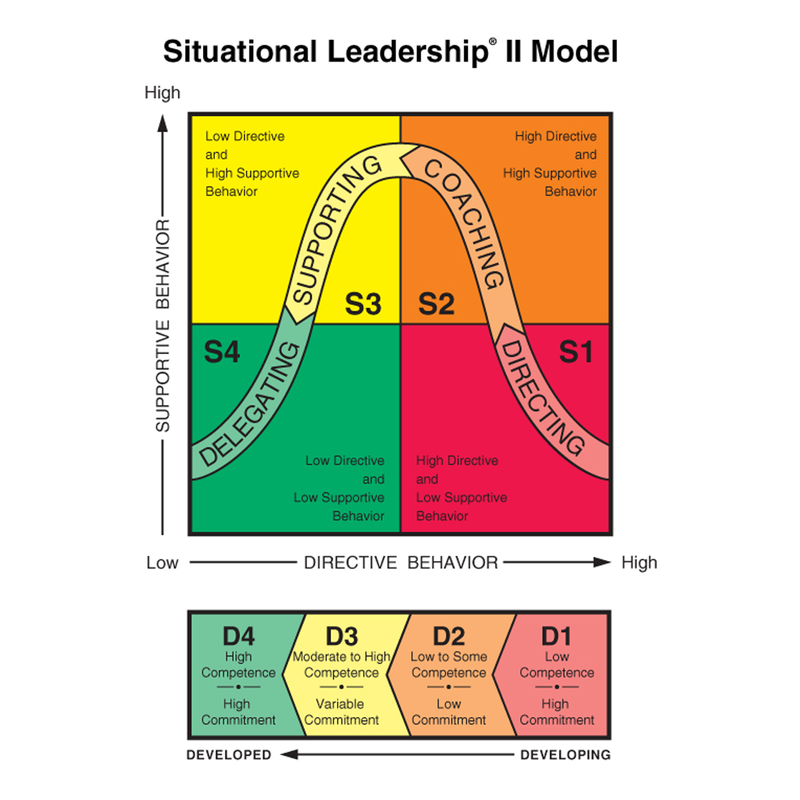 After diagnosis and flexibility in leadership style, the third skill of a situational leader is “partnering for performance” – working with the staff member to identify goals and a plan for on-going development. As a leader, when you create a culture that intentionally develops people and learn the skills to do this well, you’ll retain great people, your team will flourish, and students will be well served. And, if you are a staff member, guess what? These same situational leadership principles apply as you disciple students – think about how they go through these development levels in the program and how you adjust your approach accordingly… This month, read one of the Gospels with these principles of development in mind, how was Jesus a situational leader?